By combining three different sizes of the crown of thorns block Kim is going to help you construct 30" blocks makign this a fairly fast and fun quilt along. 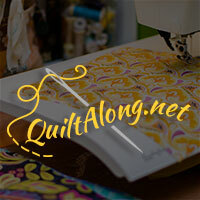 You can make a quilt of any size using the techniques she will walk you through and you can purchase the block pattern on craftsy for $2.50 or find a free reource for it online. 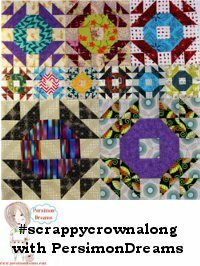 So dig through your scraps and make some crowns this month!